E3 2013 Impressions: Destiny – Eggplante! Destiny, as promised, was a big centerpiece at the E3 2013 Sony Conference. Despite Bungie’s prior relationship with Microsoft developing the Halo series, before Microsoft moved it in-house with their recently-created 343 Industries developer, Bungie appears to be favouring PlayStation with its ambitious MMO/shooter combo. 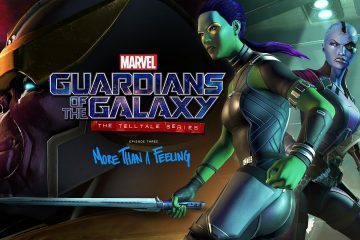 The game will still be releasing for Xbox platforms, but the PlayStation 4 version in particular seems to be the flagship build, with exclusive bonuses promised for it no less! 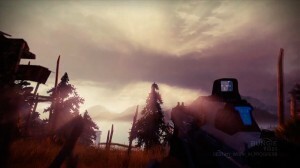 Anyhow, the demo finally gave us our first long-awaited look at Destiny’s gameplay, which appears to be an MMO-enabled version of Halo, Borderlands and Fallout, all thrown into a blender. The demo ran in real-time on the PlayStation 4 hardware, and boy is it ever gorgeous! The lush, sweeping landscapes and superb detail in the large-scale environments immediately make Destiny’s world all the more inviting to would-be players; Even with all of those ruins, corpses and monsters about! Actually, one thing that Bungie was careful to stress is that they don’t want Destiny to be perceived as a typical MMO title. 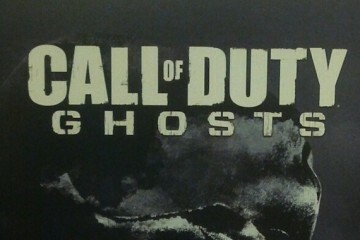 They instead refer to the game as a ‘shared world shooter’, likely to motivate non-fans of MMO’s to still consider the game. We have to say that it’s an apt description, because Destiny certainly doesn’t look like any old MMO; It truly does appear to be the future of online multiplayer gaming! Bungie’s media-shy founders even took to the stage to demonstrate the game, so you know that Bungie is fully aware of just what kind of potential they hold in their hands with this super-ambitious project! After showing off the incredible detail in the outdoor environments, the demo moved into a dark, dilapidated structure. It was here that the Ghost was shown off, an orb-like robot that shadows your character and can seemingly act as both a scout and a light source. It’s more than a little reminiscent of 343 Guilty Spark from Halo, that’s for sure! It certainly likes to mutter to itself in the same fashion! The light of the Ghost shows that even indoor light and shadowing effects are superb in Destiny. Of course, we didn’t have time to admire them for long, as a combat scenario kicked up! The absence of damage numbers is noticeable, suggesting that Destiny is truly aspiring to prioritize shooter sensibilities over online RPG sensibilities. Nonetheless, critical hits are still possible, as demonstrated with an impressive headshot by one of the Bungie heads. The combat seems extremely shooter-esque, so you won’t need any kind of MMO background going in by the look of things. It’s all just a matter of point-and-shoot! Any Halo or Borderlands pedigree will immediately serve you in this world, and that’s great news if you never cared for the MMORPG scene! Despite that, players do seem to be able to use magic-esque attacks, not unlike the Biotic capabilities in the Mass Effect games, which Bungie shows by using them to destroy a large miniboss. After decimating the big baddie, it was shown that players can come across their weapons as loot, much like in Borderlands. 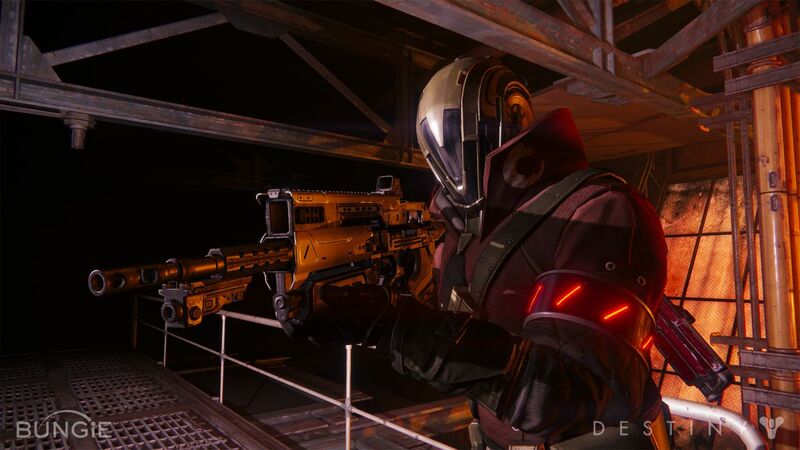 Destiny seems to take this a step further however, demonstrating that weapons have their own skill trees, and frequent use and success with them can unlock new capabilities for any guns you find. Again, like Borderlands, this gives you plenty of options and rewards when it comes to mastering certain weapons, while allowing you more flexibility with creating the kind of character you want to create. In simplest terms, the skill upgrade system with the guns looks brilliant! As easy as it was to appreciate Destiny on a technical and gameplay level however, if anything jumped out at us, it’s how much fun the Bungie heads were having when demonstrating the game. The two were genuinely trading barbed comments and on-the-fly commands, constantly smiling, chuckling and generally in a great mood. It didn’t feel rehearsed or forced in any way. This positive energy rubbed off on the audience as well, who laughed and clapped along with Bungie’s banter in genuinely good spirits. All around, Destiny just looks like a great time for you and your buddies! This is a big deal, particularly for a company like Bungie that is known to be a bit camera-shy, as evidenced by just how long it took them to reveal Destiny in the first place. It shows that, even with all of its technical prowess, Destiny is still fun to play. That should always be the bottom line, and that’s exactly what makes its incredible ambition look so promising! At the conclusion of the demo, a ‘public event’ was shown, whereupon the Bungie heads were joined by a third player. These appear to be dynamic, developer-controlled events that happen periodically, similar to the dynamic events of MMORPG’s. Another firefight broke out as a result, and this also provided an opportunity to show off another deadly miniboss; The Devil Walker. A massive mechanical/biological hybrid beast, the Devil Walker required the co-operation of more than one ‘fireteam’ (i.e. party) just to stun it, giving a window for one of the Bungie bosses to strike the deathblow and destroy it, netting rewards for everyone! One final teaser capped the demonstration, and that was that. As expected, Destiny looks amazing! 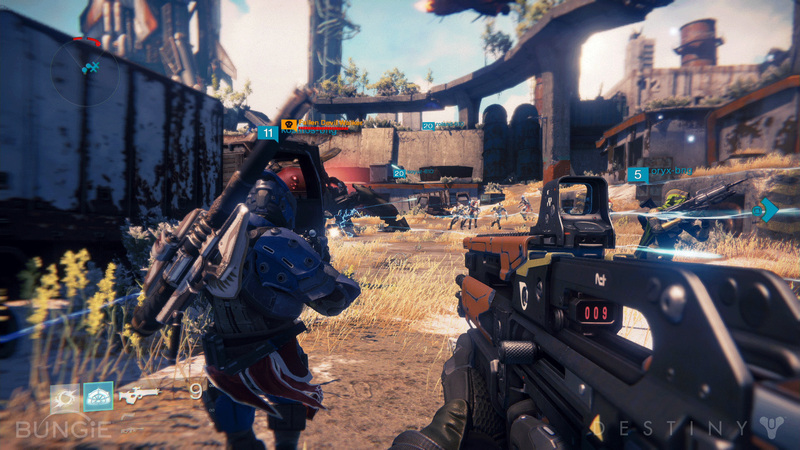 Even if you don’t like MMO-type games, Destiny just looks like an incredible amount of fun! It’s a persistent online shooter that plays like the offline-enabled experience of something like Halo, making even its massive, highly ambitious world easy to digest and just have fun with. This is all the better when you consider how effectively Destiny brings MMO sensibilities to consoles, which it’s exclusively designed for. Everything about the game just looks extremely impressive so far, and we can’t wait to see more! Some questions still remain, the biggest of which is whether or not Destiny will demand a subscription fee in the end, but for now, this is a game that any and all shooter fans should absolutely have high on their radar! Destiny is expected to release sometime next year, for PlayStation 4, PlayStation 3, Xbox One and Xbox 360. As we said, the PlayStation 4 version also promises exclusive bonuses. PC and Wii U versions are reportedly “under consideration”, but not planned at present. We will be sure to deliver any and all key Destiny news, as it drops, so be sure to keep your own Ghosts scanning Eggplante! Vote for Erika Szabo as your next Geek & Sundry Vlogger!